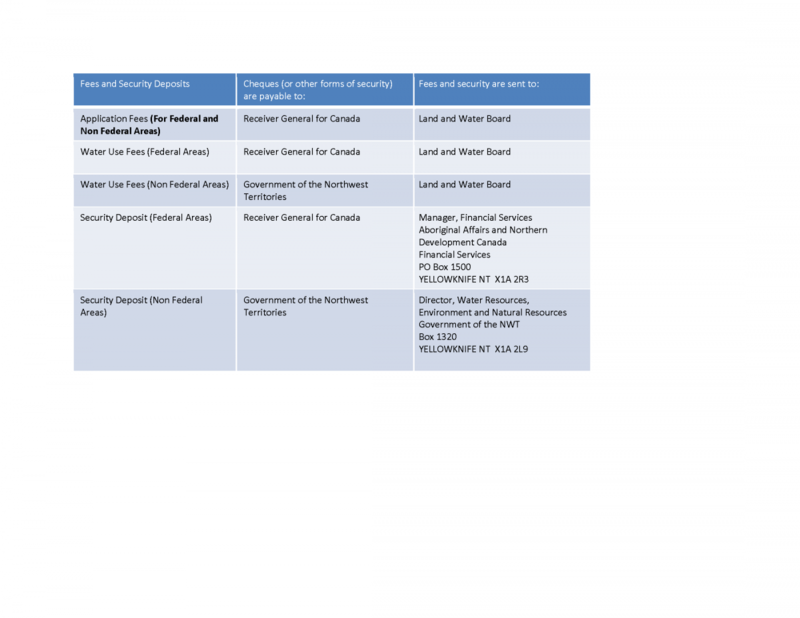 Applying for a land use permit and/or water licence is a straightforward process. This graphic provides a general overview of the steps to take in submitting an application. For more details, see the Resources for Applicants menu item. Click on the underlined links above for PDF versions of each document. Reviewing these resources will help ensure that applications are complete and can be processed in a timely manner. 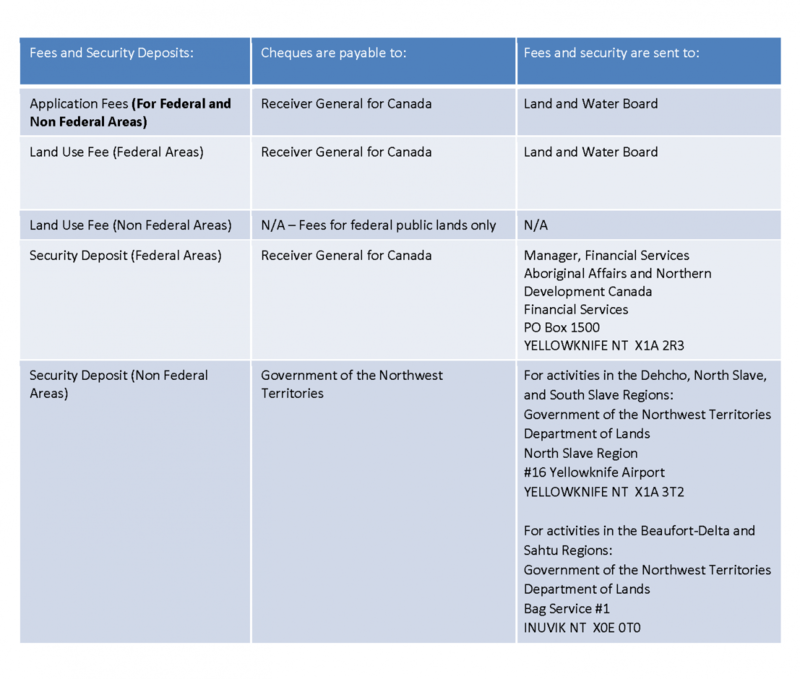 When determining land use fees remember that the $150 application fee includes the first 2 hectares of land and that fees are payable only for federal public lands. Do not include land use fees for private lands (include as total calculation of lands used in hectares, but not as part of fees).